Back in the day, we used to have Mike Ezra and Ivan Semwanga who could give goal bonuses to our Uganda Cranes players and the team at large for either wins or goals scored, but that had since stopped with the disappearance of Mike Ezra from the social radar and just recently, the death of Ivan Semwanga. 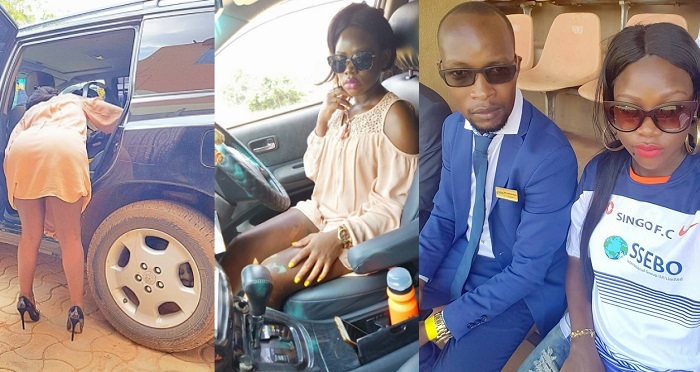 We now have a new kid on the block who happens to be socialite Debby Sempaka's baby daddy, Abraham Luzzi aka Mr. Economy. In the just concluded games, Luzzi promised Shs 5million for every goal that the Uganda Cranes could score and 1million for every saved goal. In the two games which were played in Uganda and Egypt, striker Emma Okwi managed to score a goal for Uganda Cranes against Egypt in the game that was played at Nambole Stadium. Uganda Cranes captain and Goal keeper saved Uganda from being scored twice in Uganda and Egypt and according to Luzzi's promise, it was a million shillings per save. Two saves and one goal totalled to Shs 7million. 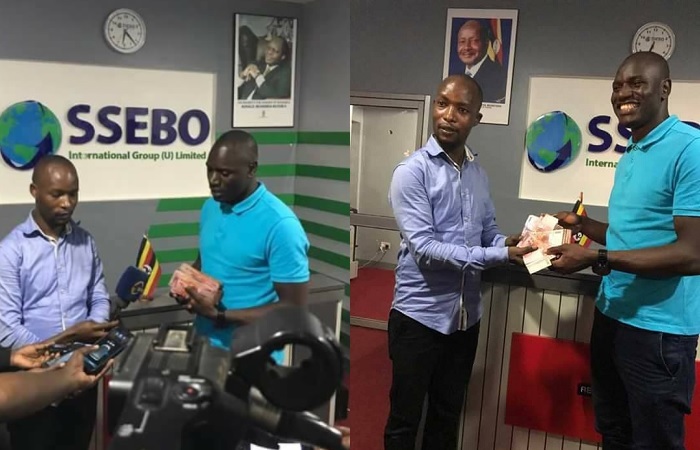 Just yesterday, Luzzi fulfilled his promise to Uganda Cranes when he handed over the 7Million to Uganda Cranes captain and goal keeper Dennis Onyango at his Ssebo offices in Kampala. Meanwhile, his baby mama, Debby Sempaka, is also back to her slaying ways of bending over. Their baby will soon make two months.